The Liberal Pulpit: "We Are Our World Knowing Itself"
Throughout, at each step, it is evident that action on behalf of life transforms. Because the relationship between self and the world is reciprocal, it is not a question of first getting enlightened or saved and then acting. As we work to heal the Earth, the Earth heals us. No need to wait. As we care enough to take risks, we loosen the grip of ego and begin to come home to our true nature. For, in the co-arising nature of things, the world itself, if we are bold to love it, acts through us. The way we define and delimit the self is arbitrary. We can place it between our ears and have it looking out from our eyes, or we can widen it to include the air we breathe, or at other moments, we can cast its boundaries farther to include the oxygen-giving trees and plankton, our external lungs, and beyond them the web of life in which they are sustained. I used to think that I ended with my skin, that everything within the skin was me and everything outside the skin was not. 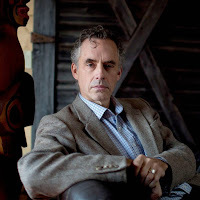 But now you’ve read these words, and the concepts they represent are reaching your cortex, so “the process” that is me now extends as far as you. And where, for that matter, did this process begin? I certainly can trace it to my teachers, some of whom I never met, and to my husband and children, who give me courage and support to do the work I do, and to the plant and animal beings who sustain my body. What I am, as systems theorists have helped me see, is a “flow-through.” I am a flow-through of matter, energy, and information, which is transformed in turn by my own experiences and intentions. To experience the world as an extended self and its story as our own extended story involves no surrender or eclipse of our individuality. The liver, leg, and lung that are “mine” are highly distinct from each other, thank goodness, and each has a distinctive role to play. The larger selfness we discover today is not an undifferentiated unity. Nowadays, yearning to reclaim a sense of wholeness, some of us tend to disparage that movement of separation from nature, but it brought great gains for which we can be grateful. The distanced and observing eye brought us tools of science, and a priceless view of the vast, orderly intricacy of our world. The recognition of our individuality brought us trial by jury and the Bill of Rights. Now, harvesting these gains, we are ready to return. Having gained distance and sophistication of perception, we can turn and recognize who we have been all along. Now it can dawn on us: we are our world knowing itself. We can relinquish our separateness. We can come home again – and participate in our world in a richer, more responsible and poignantly beautiful way than before. 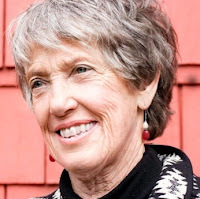 I mention this because I want to talk about different world-views, and that's a very clear illustration of one of the four world-views that Joanna Macy delineated -- four sets of basic assumptions we can make about our relationship to our world. Those assumptions are crucial to our attitude about the Earth, climate change, pollution, and waste reduction. This is Jordan Peterson's worldview. Good and evil are pitted against each other, and the forces of light battle the forces of darkness. The Zoroastrians and the Manicheans developed that story line. People for whom this story is the context for making meaning of their lives, will be oriented toward “courage, summoning up the blood, using the fiery energies of anger, aversion, and militancy.” This worldview is good for building confidence – it’s a story that reassures you that you are on the right side, and your side will eventually win. A variation is the model of the world as a proving ground, a kind of moral gymnasium for showing your strength and virtue at the snares and temptations of the world. You are only here so that the mettle of your immortal soul may be tested prior to admittance to some other realm. If you resonate with Macy's words -- "We are our world knowing itself. We can relinquish our separateness. We can come home again" -- then you probably don't have the "World as Battlefield" view. This is part 1 of 3 of "Reduce Waste"
Part 2: What's Your Worldview?